HVAC System Maintenance – Why it is Important! In this HVAC guide, we discuss HVAC system maintenance – Why it is important! In short, a properly maintained HVAC system will run more efficiently, perform as it should, and be less prone to mechanical failure. Here’s an overview of the maintenance that should be done and how it will help your HVAC system. Both gas and oil furnace need to be cleaned regularly – oil furnaces as often as every year. When gas or oil burn, they leave a residue that will eventually affect the performance of the burner, causing it to become inefficient by not burning the fuel completely or cleanly. The flame of the burner should be checked periodically and adjusted as needed to make sure it is burning as efficiently as possible. The blower motor should be adjusted for optimum performance and the fan should be cleaned of all dust which can clog it and reduce its effectiveness. In furnaces and air handlers, the filter should be changed or washed on a monthly basis. In an oil furnace, the oil filter needs to be checked and changed every few years too. With proper maintenance, your furnace should continue to provide the level of energy-efficiency it was designed for. Without maintenance, in just a few years a furnace can lose 10% to 30% of its efficiency, wasting energy and money. Cleaning is important to these HVAC components as well. The outdoor coil can become clogged with yard debris such as leaves or grass clippings. The indoor coil can be clogged with dust or pet hair. Dirty coils can be 40% less efficient than clean ones. They will also cause the system to work too hard or overheat, leading to mechanical damage or failure. In heat pumps and air conditioners, it is important to check the drain and drain pan for clogs which can lead to water leaks and damage. In addition to cleaning, an HVAC technician should look for refrigerant leaks and check the level. A small leak is easily fixed. If it is not caught, it can lead to the system not working or failing mechanically. Some condenser fan motors require periodic lubrication or they may wear out prematurely. Checking ever year or two for worn parts is also a good idea. At times, replacing a small part that is worn can prevent a major repair issue from occurring. 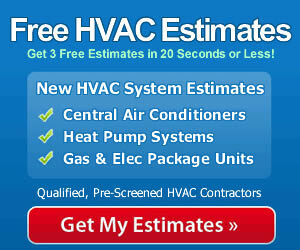 Most heating and air conditioning companies offer maintenance agreements. They vary, but most provide for periodic cleaning and maintenance. They may also include a discount on needed repairs which is more important as your HVAC system gets older. Many service agreements give you priority position if your system fails during the hottest week of summer or during a winter cold snap. Shop around for a maintenance agreement that best meets your needs. An HVAC system of average quality should last 15-20 years. With poor maintenance, most systems last only 10-15 years. With good maintenance, the length is extended to 18-25 years. Regular maintenance of your HVAC system pays for itself through the longevity of the system and the reduction of repairs over the years.